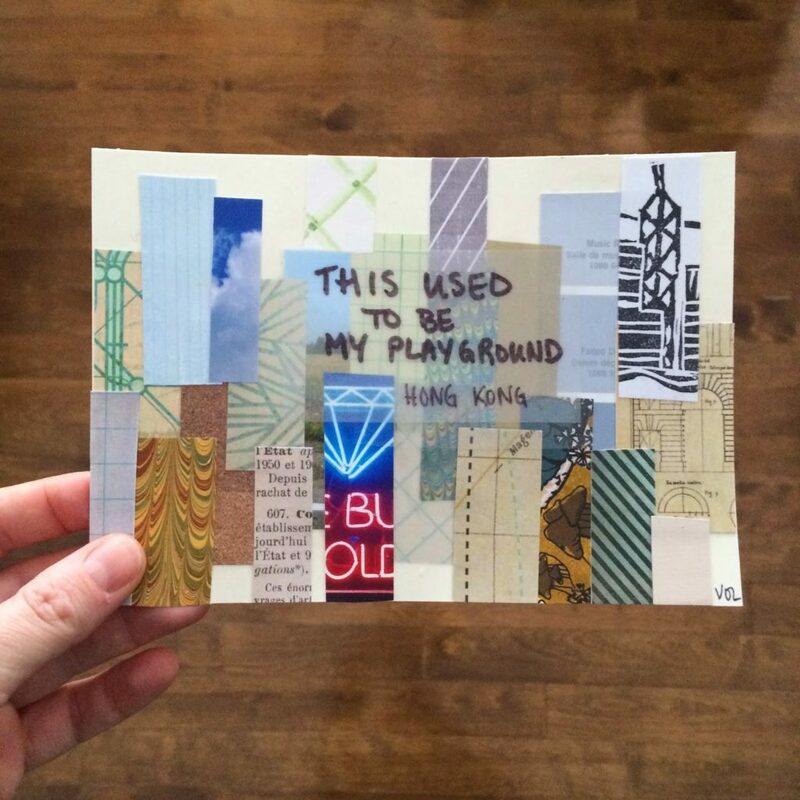 One of the best aspects of Get Messy is all the creative people I’ve met in that community. 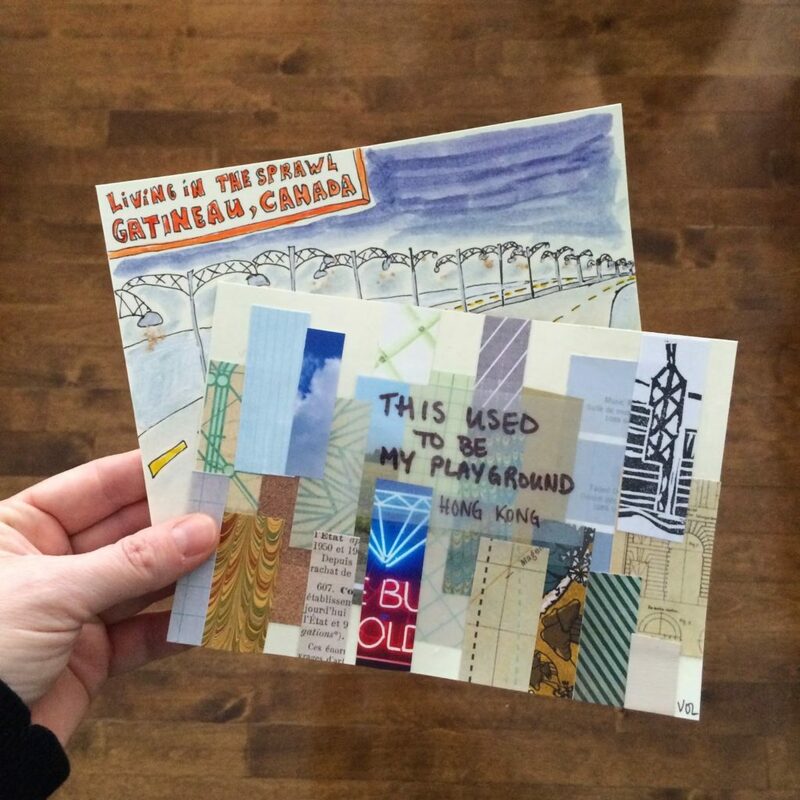 One of these creatives, Mary from Uncustomary Art, invited us to participate in a Mail Art exhibit she is planning in Baltimore this February. It’s called What’s Your View? and you still have time to participate since all artwork must be received before January 24th. Get all the details here. I thought this was a great idea. I’ve never done mail art before. But the theme was certainly calling to me. For those of you following me for a while, you know that I had an amazing view from the balcony of my 26th floor appartment in Hong Kong. the view was a huge part of my daily life there. For my second contribution, I wanted to include my view of the city I am living in now, Gatineau. Now, Gatineau is the city just across the river from Canada’s capital, Ottawa. It is a fairly ‘new’ city and as such sometimes feels like a never ending suburb. There is no real sense of a central city with interesting places to explore, a lot of that is in Ottawa. 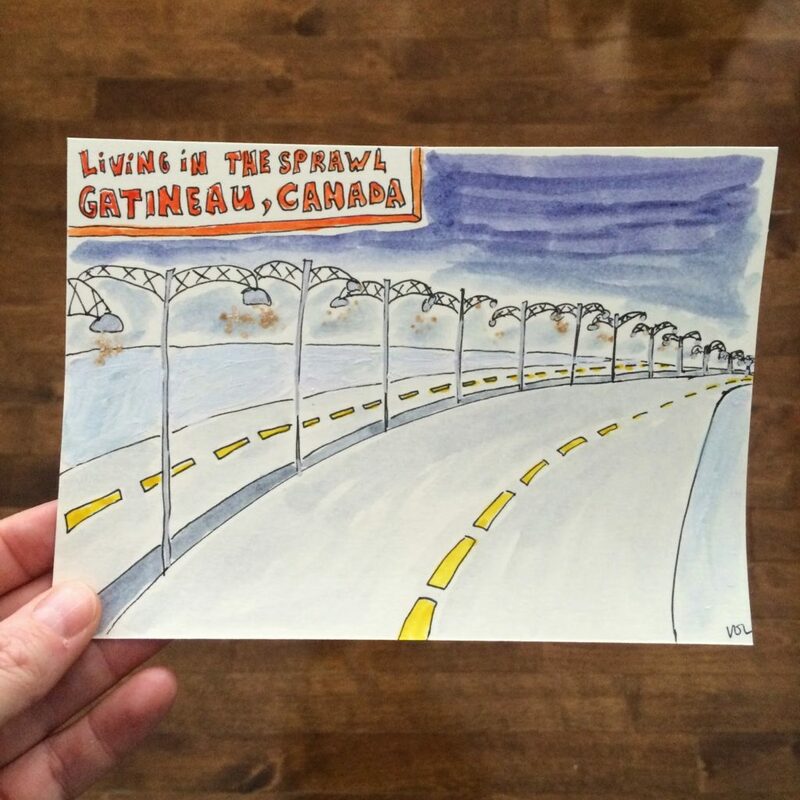 The other day while going to the grocery store I noticed all the electric lights shining on the road, on either which are a series of strip malls and car dealerships. And Arcade Fire’s song ‘Sprawl II (Mountains Beyond Mountains)’ came into my head. 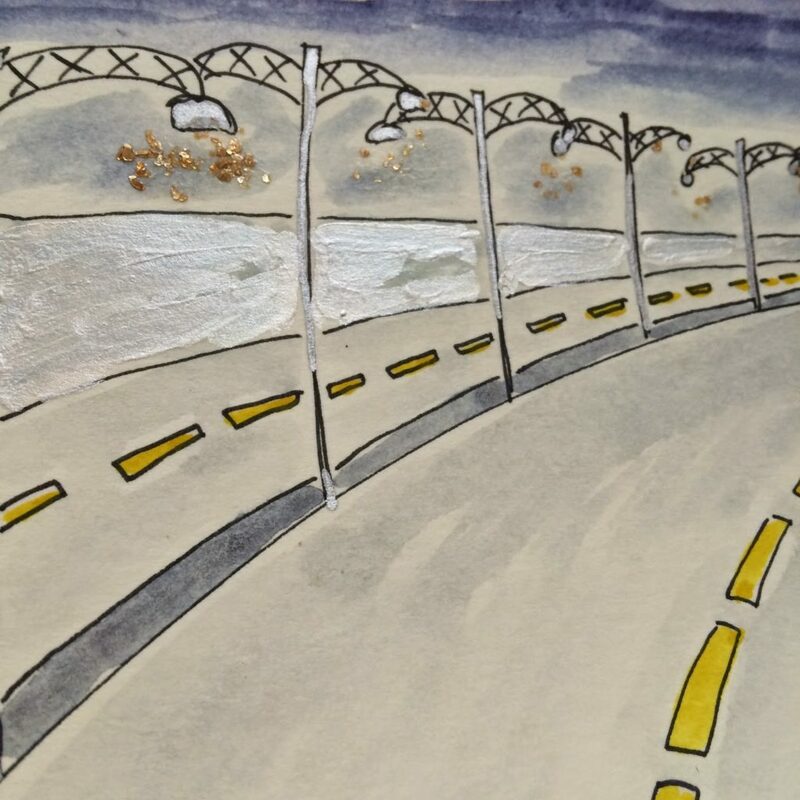 For this postcard, I sketched the street elements with a Sharpie pen, then I added watercolor to the sky and street, used a silver metallic pen, some iridescent acrylic for the snow and mica flakes for the street lights. I loved doing this project. I love the fact that I could share these two different views of two different cities I lived in in 2014. I think this brings a nice sense of closure to my year. I sent these off on their way last Monday. It was exciting to slide them in the mailbox, not knowing if they will get there in one piece and not get stained or ripped during their travels….all part of the story right? Have you ever participated in such a project? 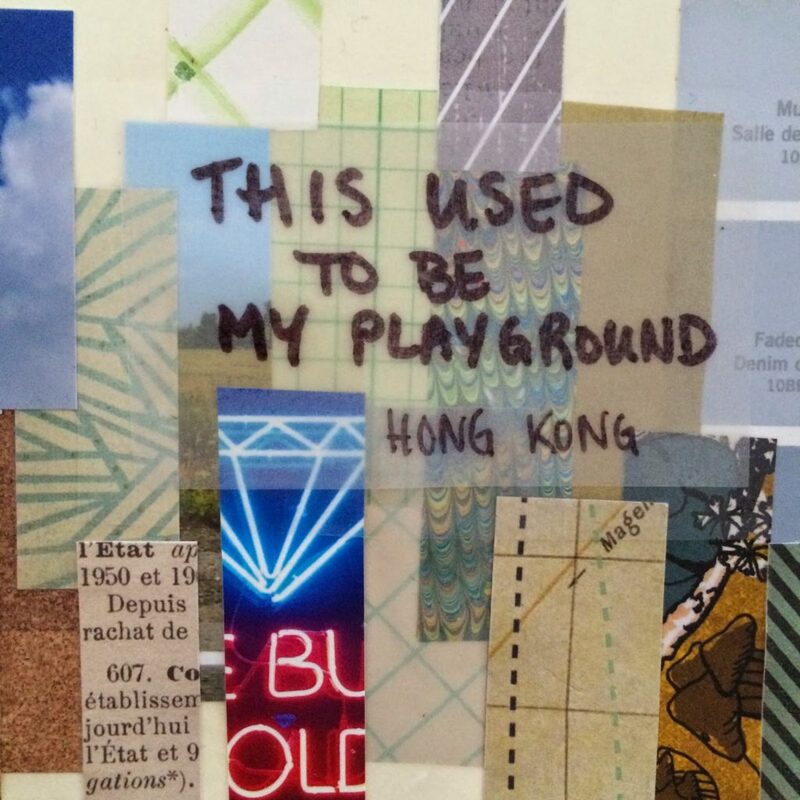 Are there other interesting mail art calls that you would like to tell me about? I’d love to do more. so cool! And this sounds like a fun project. Can't wait to see all views. I am a huge snail-mail fan! These are really awesome. Especially the hong Kong one is really cute! Put your snail mail-piece inside one of those clear plastic sleeves they usually sell greeetningcards in. That way It is well protected against water and tearing. I bought a huge packet of them in a bookstore. And it really is perfect!